Being able to check your data at a moment’s notice is key to making better decisions and understanding what’s going on around you. With Tableau’s dynamic dashboards you can present your data on your company website or intranet. This allows you to share important information across multiple platforms such as desktops, tablets and mobile devices. This page is built to demonstrate this. Currently you are viewing this page on a desktop, now try it on a mobile device and see what happens. 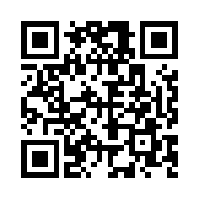 We’ve provided you this handy QR code, just scan it with your mobile phone or tablet to open the page in your browser. This page is built to demonstrate this. Currently you are viewing this page on a mobile device, now try it on a desktop or even your mobile phone and see what happens. We’ve provided you this handy QR code, just scan it with your mobile phone to open the page in your browser. This page is built to demonstrate this. Currently you are viewing this page on a mobile phone, now try it on a tablet device or your desktop and see what happens. We’ve provided you this handy QR code, just scan it with your tablet to open the page in your browser.